Ah, WordPress. If you only knew. For twenty years, I was living in a northwest suburb of Chicago, raising 4 children, and partnering my terminally ill husband. Needless to say, I needed a “Happy Place” to go to…frequently, slowly, meditatively. Luckily, there was a prairie preserve just one block away. That became my spiritual sanctuary and furthered my relationship with the Earth beyond my childhood infatuation to a more mature and deep passion. In this place, I breathed, I prayed, I cried, and I began to write poetry in alarming profusion. And when my husband died, I came here to grieve. I sold my home in Illinois and moved north to Wisconsin almost 5 years ago. I now work for a conservation foundation that has several natural prairie restoration projects in various stages of development. I find myself in Happy Places frequently, looking more closely at the community of life that reminds me on ever-deepening levels that I am alive, that all is well, and that happiness is always at hand. This entry was posted in Environmental Protection, Photography, Widow and tagged conservation, nature photography, photography, postaday, prairie restoration, WordPress Weekly Photo Challenge. Bookmark the permalink. Thanks for sharing your photos and your experience. You’re welcome, Allan. Your blog title intrigues me…gonna go check it out. 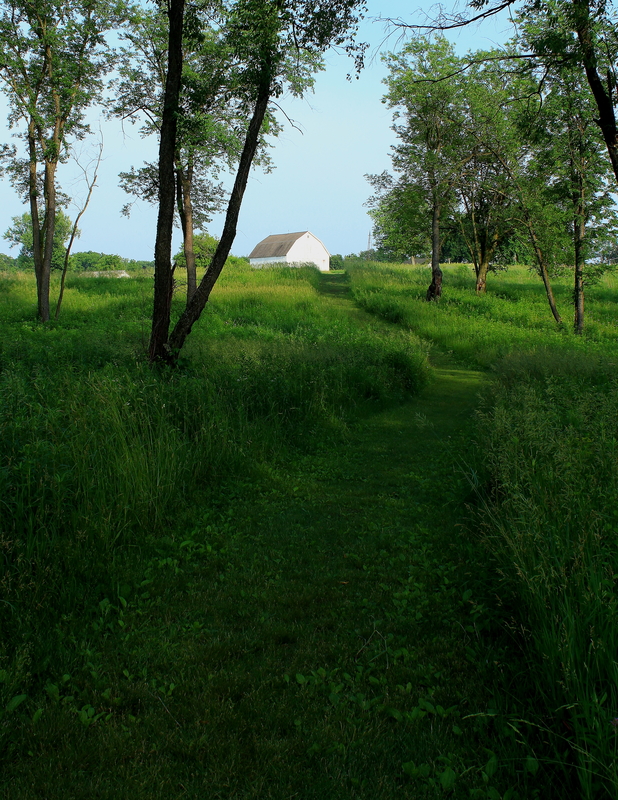 I understand completely the solace to be found in the prairie preserve. We live in Naperville, near many similar parks, including the one I use as my regular walking and happy place. I’m sorry for your loss and happy you had somewhere to go to begin to heal. Illinois did some good planning when it put in green space around Chicago. McHenry County’s Conservation District was particularly astute when they got onboard with the opportunities made available through the Illinois District Conservation Act of 1963. Nice to know there are places to go away from the suburban sprawl! We’re in DuPage county and they’ve done a marvelous job. Good to know. I do love the Naper settlement, and the Morton Arboretum (from my early childhood). My daughter is planning an outdoor wedding for Danada. Haven’t seen it yet, but it looks good in pictures. We’re members of the Arboretum this year. Danada is quite lovely from what I’ve seen. I too wish to say thanks for sharing this. This really hit home for me, Priscilla. I just returned from North Dakota where we celebrated my husband’s 50th high school reunion. His brother drove us north to the old farm where his parents grew up. We drove through miles of prairie under grey skies. There is such stark beauty in that area. We drove as far north as the Canadian border. I love the people in the Midwest… so real and friendly. Thank you for the beautiful photos. Just saw your post. I read a pioneering novel about Norwegian settlers in ND. The wife goes mad and the husband freezes to death…stark beauty is not easy to take sometimes! But Steve & I are planning to go to the Badlands wilderness anyway (SD, really) just to learn the lesson of that place. It’s holy ground, the wild prairie. In summer and early fall, it’s full of colorful flowers. Oh yes, giants of the earth. And incredible novel. I’ve read it twice and recommended it to my sister in law who lives in Minot. That’s what I was thinking of when we were driving in the plains. So much courage. Thank you for sharing this. Very meaningful, and beautiful photos. These reflective and serene photos show your postiive life attitude and how you no doubt find healing through nature. Beautiful photos Priscilla 🙂 I especially like the grasshopper, I know how hard they can be to photo! Thank you for your comment on my Along my Path post. Death seems to have played a role in your life as well. And Nature – we have that connection too. I am following you now, so I look forward to more connection. Take care. Welcome, Mary! I do appreciate your time and comments.